A new environmentally aware society is revolutionising the way we think about building, construction and design, right up to the building products used. 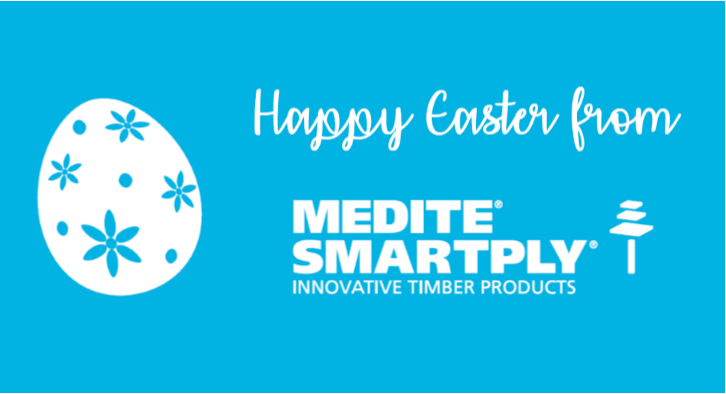 So how can incorporating MEDITE SMARTPLY products into your build help you achieve WELL, BREEAM or LEED certification? All MEDITE products are CARB2 compliant, while all SMARTPLY products have no added formaldehyde; both are created with safety, compliance and quality in mind. Everything is sustainably produced from FSC certified timber and guaranteed to have a totally transparent supply chain; just one of the criteria that BREEAM in particular awards credits for. However, three products that specifically go the extra mile to help you create a space proudly worthy of WELL, BREEAM or LEED certification are MEDITE ECOLOGIQUE, MEDITE FR and MEDITE MR.
Public buildings such as schools and hospitals, as well as offices, social housing and high-density apartment buildings have immediate need for such specialist products. Any developer, architect or contractor working on such a project has the opportunity to achieve accreditation from WELL, BREEAM or LEED when specifying and utilising these products, as well as to become part of a more conscientious community of construction professionals building for the future, with the health and wellbeing of their building’s occupants in mind. MEDITE ECOLOGIQUE is an innovative MDF panel, specifically manufactured with no added formaldehyde, resulting in a product that can help the maintenance of good indoor air quality. This is particularly relevant for applications where Volatile Organic Compounds (VOCs) must be kept to a minimum. This would include applications such as schools, hospitals or care homes, where the health and safety of occupants is vital, or museums and art galleries, where clean air contributes to the preservation of artefacts as well as to the wellbeing of visitors. Although no wood product can be entirely formaldehyde free as it occurs naturally in all timber, independent tests have demonstrated that MEDITE ECOLOGIQUE contains less than 1.0mg/100g, which is equivalent to that of wood found in the natural environment. MEDITE PREMIER FR Euroclass B and C help a specifier rest easier when it comes to fire protection. MDF panels with flame retardance built-in, both classes of MEDITE PREMIER FR are developed specifically for use in fire rated applications where a Euroclass B or a Euroclass C flame retardant board is required under building regulations. MEDITE PREMIER FR has been certified for use in fire retardant partition systems, and ideal for hotels, offices, libraries, schools, shopfitting and public buildings. Finally, MEDITE MR is a moisture-resistant MDF panel designed for use in indoor humid conditions. Ideal for applications such as kitchen and bathroom furniture, window and skirting boards, architraves and architectural mouldings, it provides excellent machining properties and a smooth surface perfect for painting and decorating. Manufactured in accordance with MDF.H (Option 1) as defined in EN 622-5, MEDITE MR can complete a building fit out where it’s foreseen that humidity levels will be raised or changeable. Build for the future; create more safe, healthy environments, inside and out, with MEDITE ECOLOGIQUE, MEDITE FR and MEDITE MR.